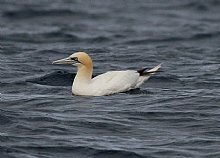 This is the first Heatherlea trip to both Arran and the Ailsa Craig – a superb late spring short-break to two very special and unique islands. Arran is known as ‘Scotland in miniature’ due to the diversity of habitats and scenery in such a small space. Arran’s roads are laid out in a convenient figure of eight, allowing all corners to be easily covered in a few days. The roads run around the edge and through the central valley, with high peaks dominated by the rugged Goatfell in the north-east of the island. We explore Arran over 2 full days with several hours of exploring on the day we head to Ayrshire too, giving us time to cover all corners and hopefully find the key species that live here, such as Golden Eagle, Hen Harrier, Otter, Red Deer, Red Squirrel and many more. 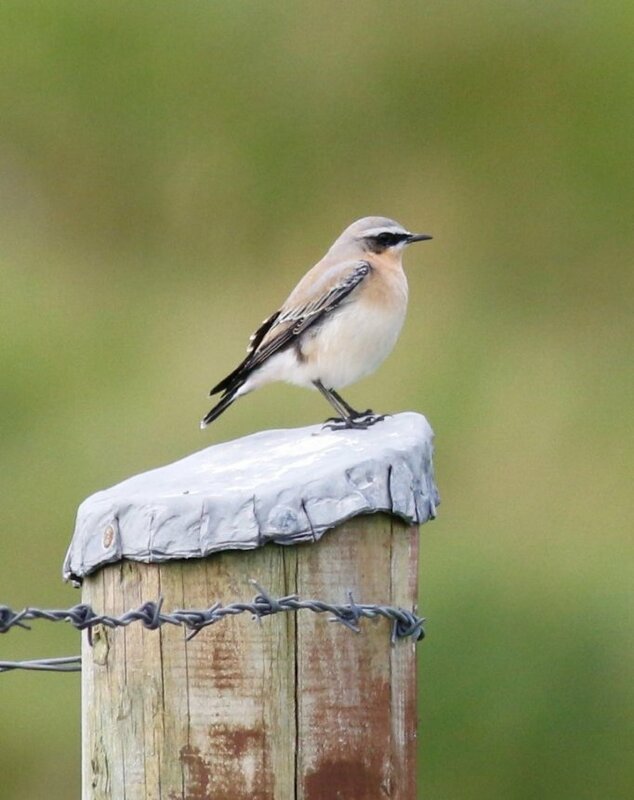 Our timing will also give us many migrant species, with a good range of warblers, chats and flycatchers and should also be good for wildflowers and invertebrates, You will really feel that you have covered Arran on this holiday! 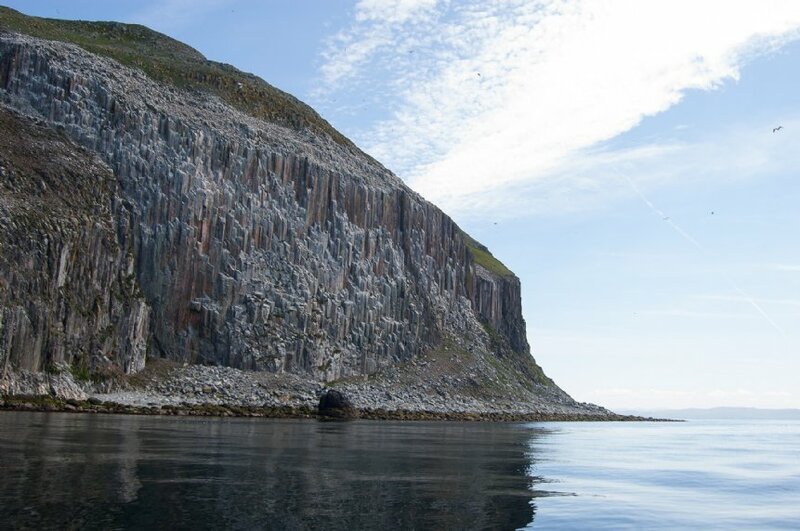 From Arran we transfer to the mainland for a spectacular boat trip to the Ailsa Craig, a famous Gannetry sitting far out in the Firth of Clyde. This stunning seabird colony throngs with life, and with luck we may see the full suite of seabirds, with some marine mammals and seals too! As with most large seabird colonies, the numbers are made up with Guillemot, Razorbill and Kittiwake, with smaller numbers of Fulmar, Shag and a handful of Puffin. 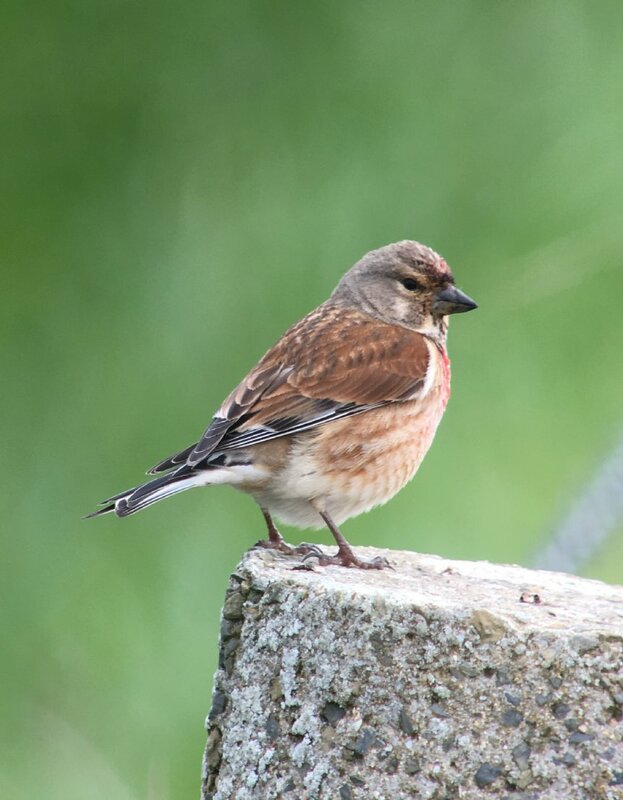 We also have a full day looking at farmland and coastal wildlife on the Rhins of Galloway, with a visit to the seabird colony at Scotland’s most southerly point, the RSPB reserve at the Mull of Galloway, allowing us flexibility (and two chances) to get to the Ailsa Craig. There are three easy options for joining this holiday – firstly you can drive and park at the ferry terminal at Ardrossan for the duration of the holiday, secondly you can travel by train, with an easy train connection via Glasgow right to the ferry terminal or thirdly travel with the guide to and from Nethy Bridge – perfect for doing back to back holidays with Heatherlea! We depart Ardrossan around 16.40pm on the ferry to Brodick on Arran. Guests need to meet the guide by 15:20pm. We will see our first seabirds from the ferry, and enjoy the impressive outline of Arran, with its rugged interior making quite an impression. Once we arrive on Arran we head to our hotel and get checked in. Arran is surrounded by a coastal ring-road with a central cross road, making a nice figure of eight that is perfect for breaking the island into two sections. Today we cover the mountainous north, from the comfort of the coastal route. We will be covering a variety of habitats on the landward side, and checking the sea carefully as we go. 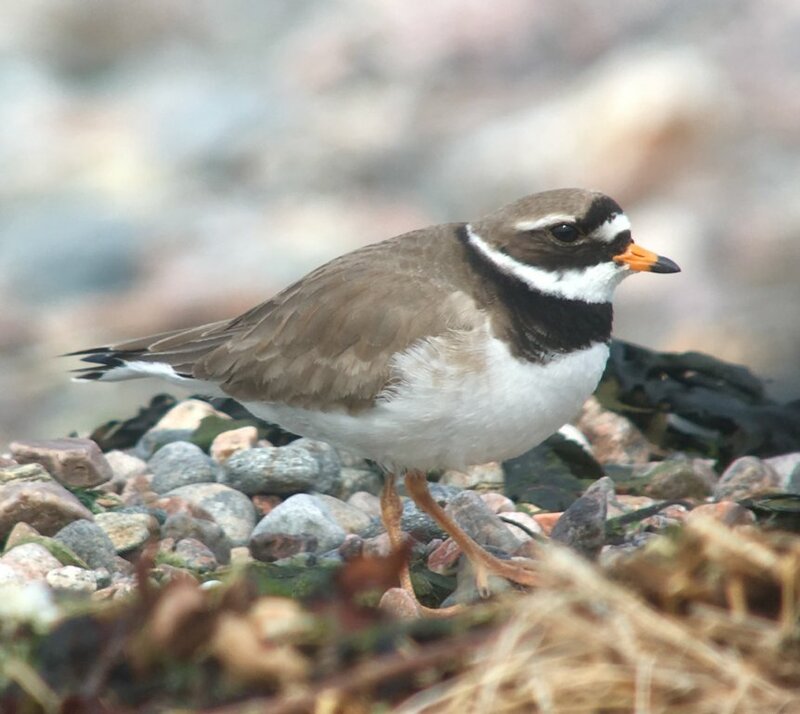 Here we find a good range of rocky habitats, sand and mud with good open water seawatching for summering seaduck and the odd diver and grebe, with waders on the foreshore. Inland habitats include farmland, woodland and heath. 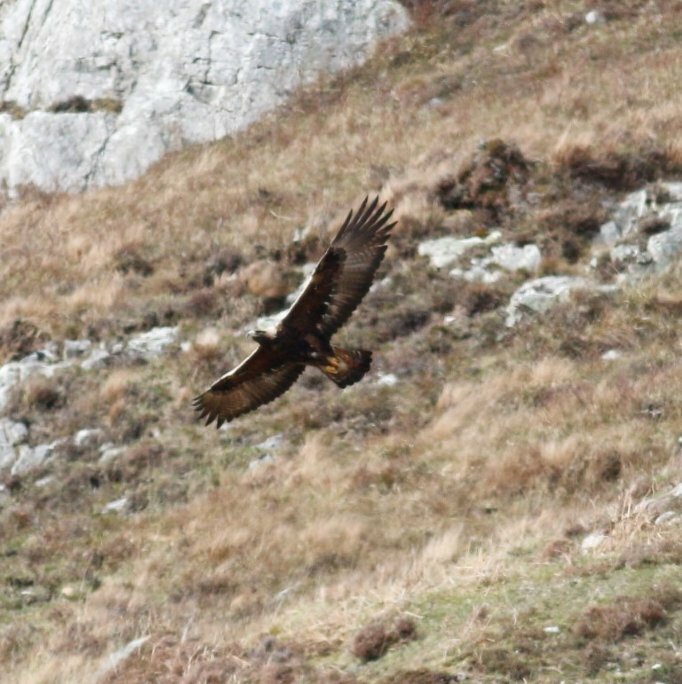 The upland areas hold Golden Eagle, Hen Harrier and a few Short-eared Owl – key target birds for this holiday. 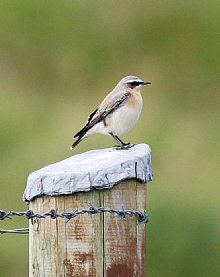 Whilst searching for these iconic raptors we should see Whinchat, Stonechat, Wheatear and a range of migrant warblers and flycatchers – fantastic summer birding. Your naturalist guide will do his best to make sure you don’t miss anything too, be it flowers, invertebrates or reptiles! We travel at a nice relaxed pace, with a few short walks and plenty of opportunity for photography. Overnight Arran. This morning we head south and explore the south of Arran. 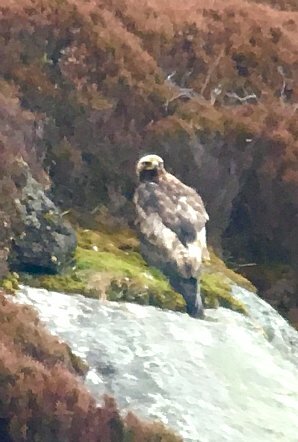 Everywhere on Arran is scenic, so we will continue our tour at a slow pace, with frequent stops and short walks to look for all manner of wildlife. Our targets will be dictated by what we saw yesterday, but a good birdlist and a range of flora and fauna is expected. 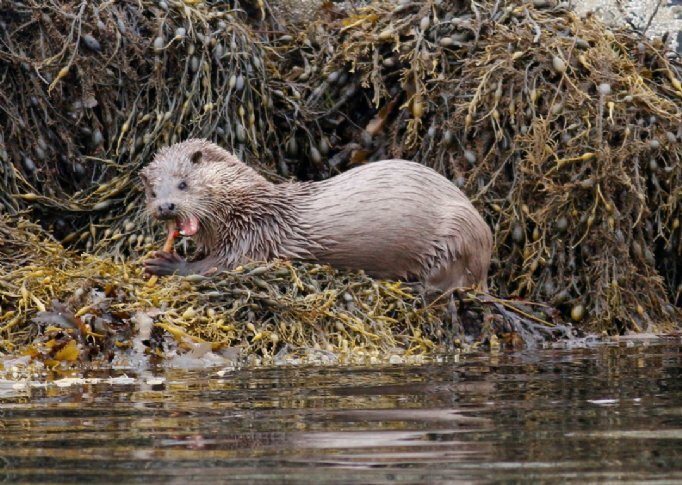 One of our key targets will be Otter, on Arran they are found all around the coastline though are generally elusive. We have several locations to check and will consider the tide and weather carefully to skew the odds in our favour. Overnight Arran. If we have missed any of our key targets on Arran we will use today to search for them – the long days give us a great amount of daylight, allowing us to be flexible with the changeable weather. 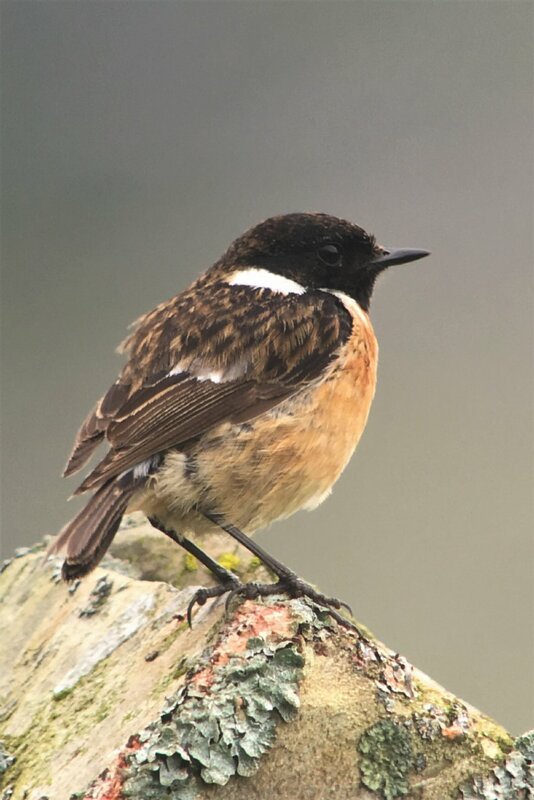 If we have done well with our targets we will cover some new habitats to boost our lists, Arran really is Scotland in miniature and has a very healthy birdlist for an island of its size! 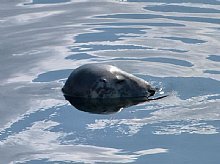 Mid afternoon we head to Brodick for our return ferry to Ardrossan, looking for seabirds and sealife on the passage. Once on the mainland we head south along the coastal road to our accommodation in South Ayrshire/Galloway. The boat trips for the Ailsa Craig run from Girvan on the Ayrshire coast. Depending on tide and weather we will either take a morning or afternoon boat from here to the Ailsa Craig, probably the highlight of the trip for most of us. Ailsa Craig is a truly unique island. It is a 1,115 feet high cone, sitting 9 miles off of the Ayrshire coast. It is made of granite and Ailsa granite has long been the favoured stone of the curler and curling stones are still quarried today. 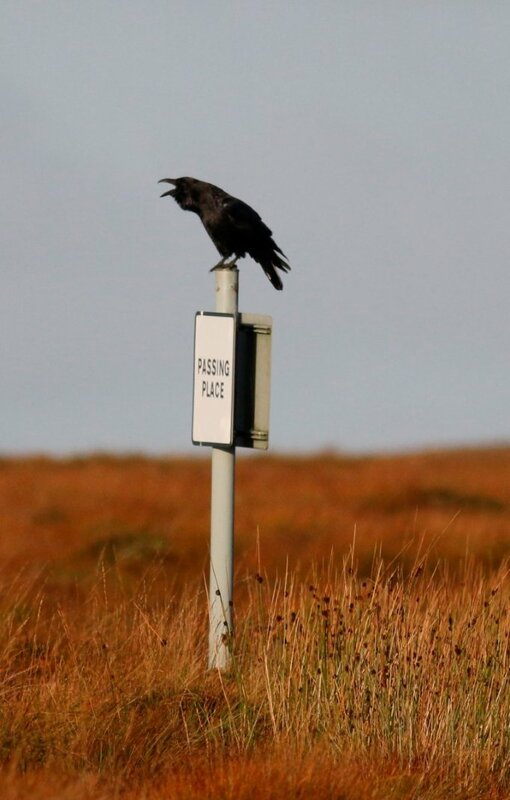 The island is now managed as an RSPB Nature and it is also a SSSI and designated a Special Protection Area in recognition of its 73,000 pairs of seabirds. 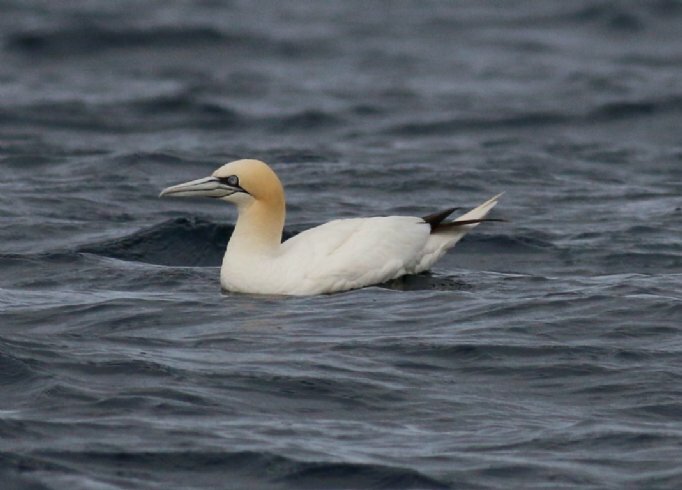 Ailsa is principally Gannet colony, and it is the third largest in Britain with a staggering 36,000 pairs! 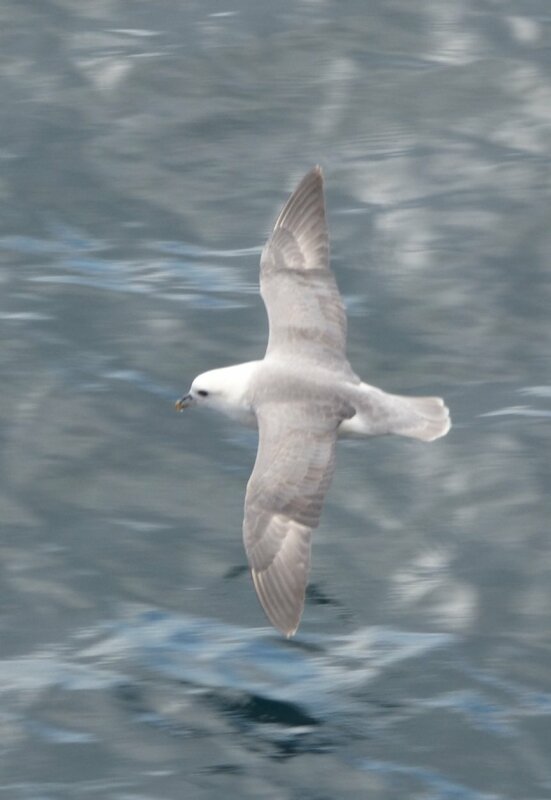 Other seabirds are well represented too, with large numbers of Guillemot, Razorbill and Kittiwake and smaller numbers of Fulmar, Shag, Gulls, Black Guillemot and Puffin. 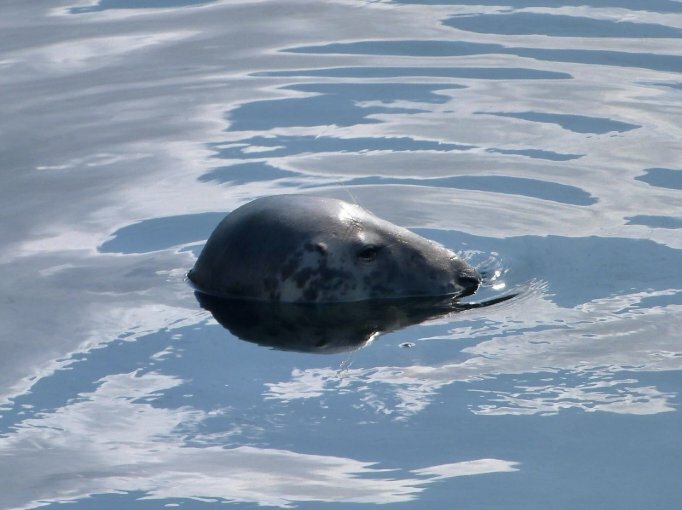 With luck we may also see Manx Shearwater, Storm Petrel, Terns, and Skuas on the crossing, with cetaceans and seals also possible – a superb afternoon! The whole trip is of course weather permitting, with an optional short and steep landing possible in the right conditions. The rest of the day will be spent on the lovely Ayrshire coast, looking at waders and coastal passerines, with some good spots for early flowers and butterflies too. Overnight in Ayrshire/Galloway. If the weather didn’t allow us to visit Ailsa Craig yesterday then we have a second chance today. Assuming everything went to plan then today we explore the local area within an hour of Stranraer. To the north and east lies Loch Ryan, a good spot for summering seaduck and waders, with excellent moorland areas to the east if we are still needing a raptor fix. To our south lies the Rhins of Galloway, a peninsula that reaches its tip at the Mull of Galloway, the most southerly point in Scotland. 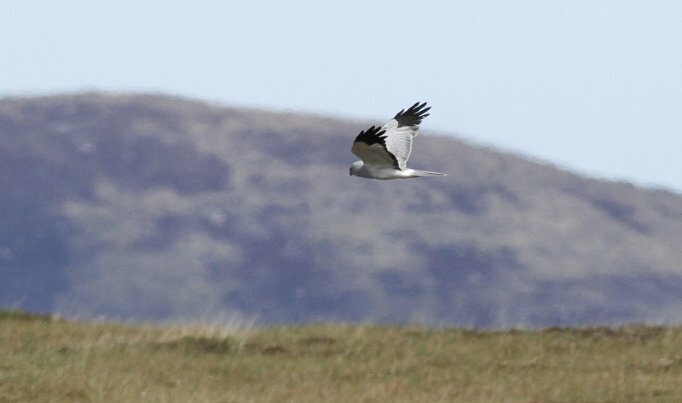 The Mull of Galloway is an RSPB reserve, allowing closer views of nesting seabirds and a great vantage point for looking out to sea and over to Northern Ireland and the Isle of Man. We return to our accommodation with a slow exploration of the back roads of the Rhins of Galloway, with quaint seaboard villages and gentle rolling farmland. Overnight Ayrshire or Galloway. We depart our hotel after breakfast and head up to Ardrossan where the holiday ends. We arrive late morning in time for late morning/lunchtime train connections. Those travelling on with the Heatherlea guide continue on to Nethy Bridge, arriving late afternoon. Expect a wide variation in weather conditions. Blazing sunshine, rain and cold winds are all possible, and you will probably experience a bit of everything. Biting insects not expected this early in the season. Please bring walking boots or shoes, fully waterproof clothing and a small rucksack. Conditions on boat trips and ferries are invariably colder than those on dry land, so bring warm clothing! Please note that depending on tide and weather, there may be an optional short landing on Ailsa Craig, though it is steep and rugged and you cannot venture far. Guests can of course remain on the boat if they do not wish to land. This is a two centre holiday; three nights comfortable hotel accommodation on Arran and three nights comfortable hotel accommodation in Ayrshire or Galloway. We will carefully select your hotels from our personally inspected shortlist of hotels where birders are welcome and the hospitality is special. Guests are never expected to share. Full details with your joining pack. Rooms are en-suite, with TV and hospitality tray. Full Scottish breakfast and dinner from Saturday dinner til Friday breakfast, packed lunch Saturday to Friday inclusive. Boat trip to Ailsa Craig. Please note in adverse weather conditions boat trips may be cancelled and rescheduled. If the weather is extremely poor for the whole trip certain excursions may not be possible. Extra night in Nethybridge or Ardrossan area at start and end of holiday. This can be arranged for you if requested at time of holiday booking. 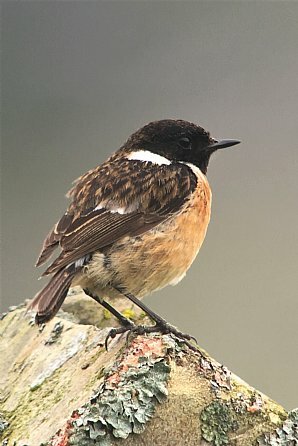 * We have been organising birding and wildlife holidays for 27 seasons, and have a highly experienced and capable team. We also offer a telephone and email service outside normal office hours. * Heatherlea Scottish Island Adventures have a maximum ratio of 7 clients per guide, putting the emphasis on personal service, and helping you get the best possible experience. * Heatherlea are Mainland Scotland’s FIRST ‘5-Star Wildlife Experience!’ This is the highest available grading, classified as ‘exceptional’ by visitScotland. * Single guests are never expected or invited to share. * Our holidays often include things which others might invite you to pay yourself, for instance packed lunch and tips to hotels. * Heatherlea hold full Tour Operator Insurance for your added protection. * Heatherlea is a limited company, registered in Scotland. We are also registered to pay VAT, which is included in your holiday price as quoted on this page. * Once your holiday is confirmed in writing by us, we promise not to surcharge the price for any reason.